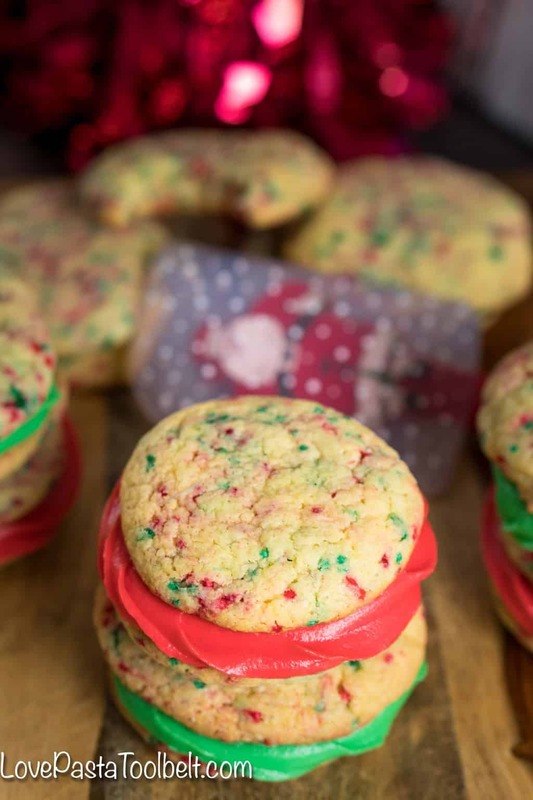 Thick and chewy cookies sandwiched together with delicious buttercream icing, these Funfetti Cookie Sandwiches will be a hit with the family any time of the year! Can y’all believe Christmas is this weekend? I cannot, I feel like this year has flown by. Well the first few months went really slow as we waited on baby K to be born, but once she was born, time just flew and now it’s time for her first Christmas. 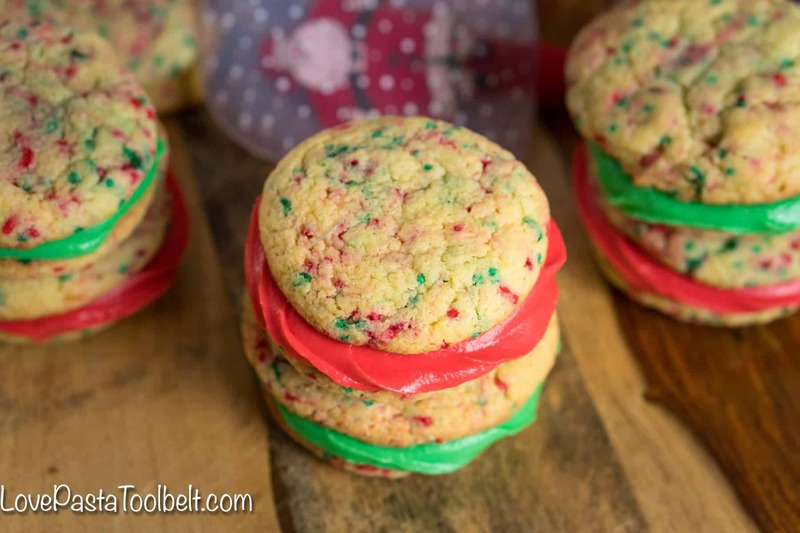 She’s not old enough to enjoy all the delicious Christmas treats yet, but when she is I know these Funfetti Cookie Sandwiches will be one recipe we’ll be making. 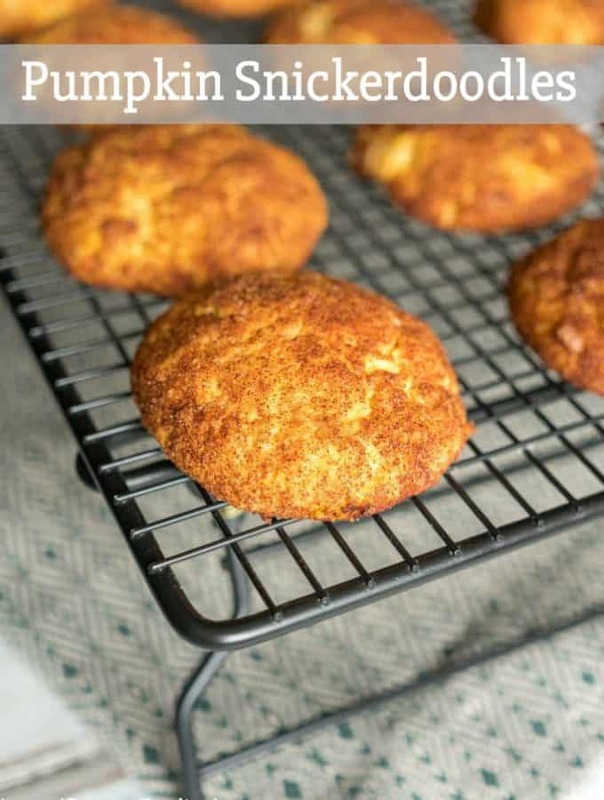 They’re easy and fun to make and oh so delicious. 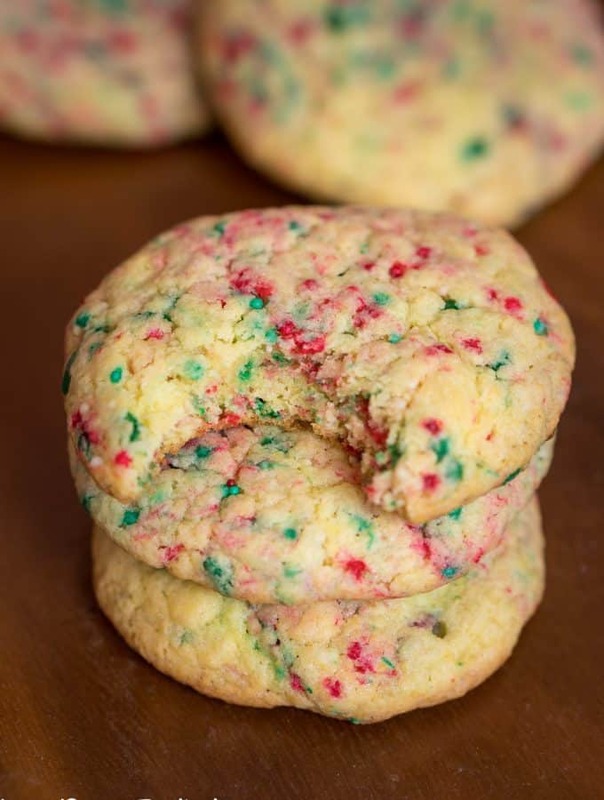 If you remember the other week, I shared my recipe for Christmas Funfetti Cookies. 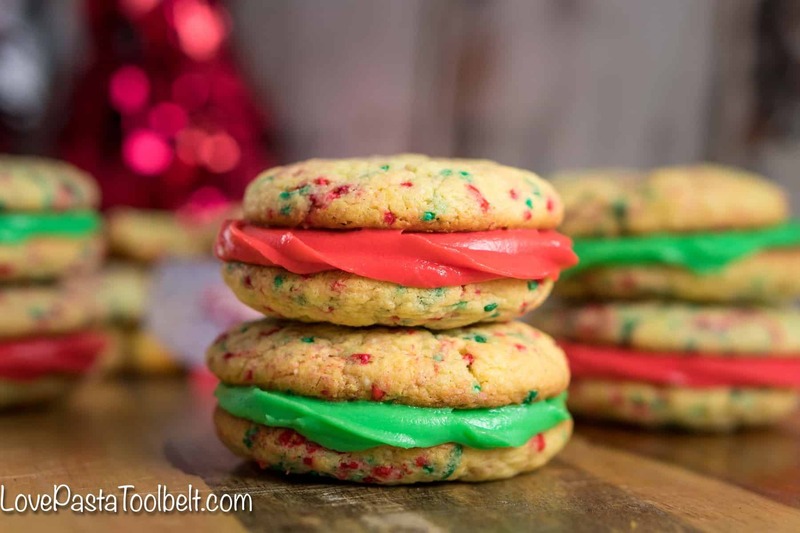 Well those cookies were so good that I thought to myself I’d love to have a version with some icing, so then I took it a step farther and decided to make cookie sandwiches. The combination was so good. The thick, chewy cookie with the sweet creamy icing in the middle was delicious. I enjoyed quite a few for myself then sent them with my sister to her school to share with her fellow teachers. Take your cookie dough and chill it in the refrigerator for about 20-30 minutes. This made it a bit easier for rolling the cookie dough into balls. Place your cookie dough balls on the baking sheet. Cool for 2 minutes on pan then allow to finish cooling completely on the rack. 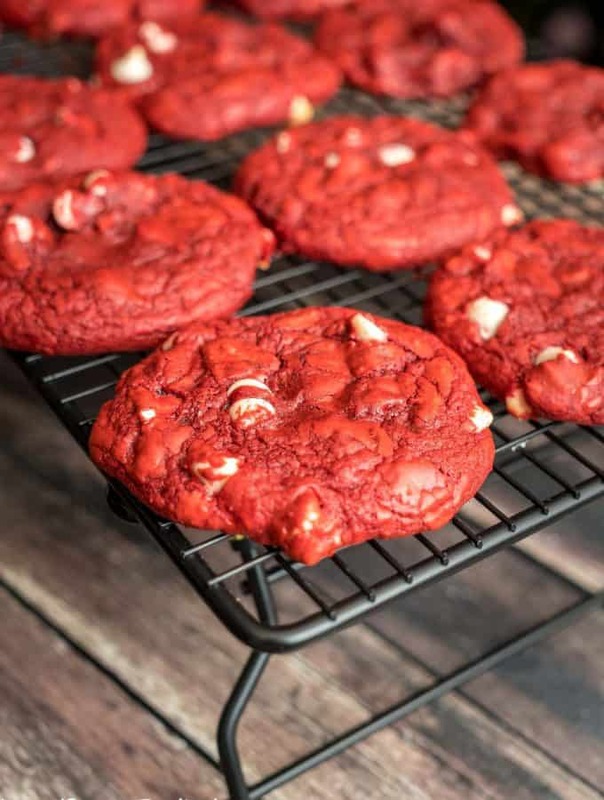 Mix up your ingredients for the icing using your mixer, I love using my KitchenAid Mixer for these types of things because I can set it to mix and step away to work on other steps. Once the icing was completely mixed I divided it into two separate bowls and added food coloring. I did green and red for Christmas. I added a few drops, stirred and then added more as needed. Next I took my icing bags and tips and put them together and filled them up with the icing. I used a pretty tip and started from the middle working my way out on the bottom of one cookie. Once the entire bottom of the cookie was iced I placed another cookie on top of the icing, bottom side down. 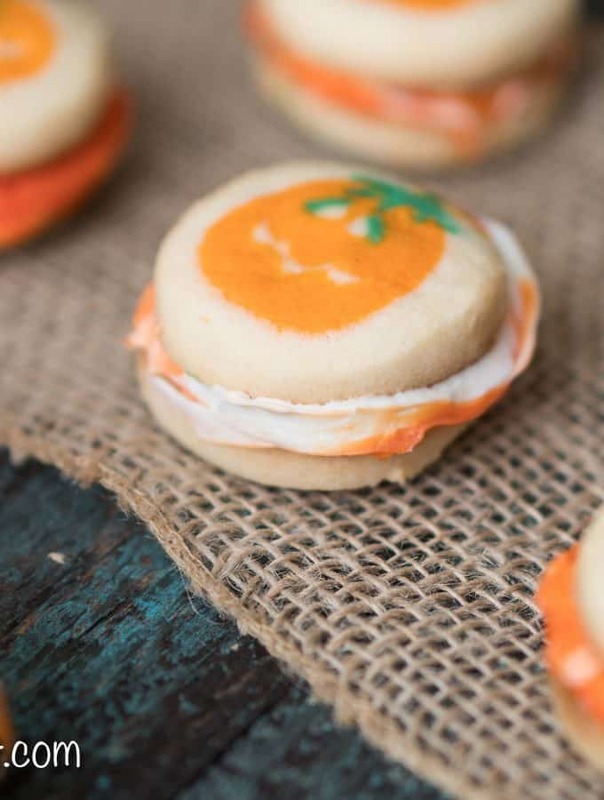 Unless you’re eating the cookies right away place them in the refrigerator to chill and allow the icing to set. I loved how cute these cookies looked, but they tasted even better than they looked. I had to have my sister come over to pick them up that night before I ate too many of them. I’m definetley thinking these will have a place on my Christmas Cookie Platter! 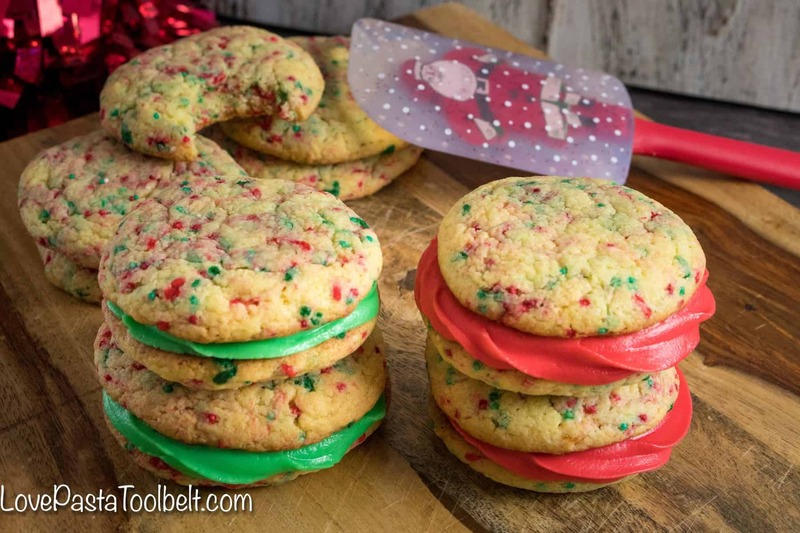 What are your favorite cookies to have for Christmas time? 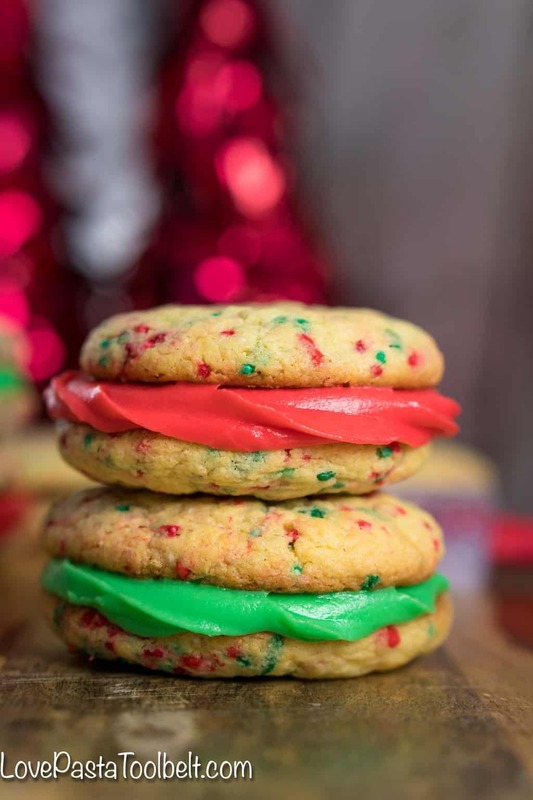 Unless you're eating the cookies right away place them in the refrigerator to chill and allow the icing to set.